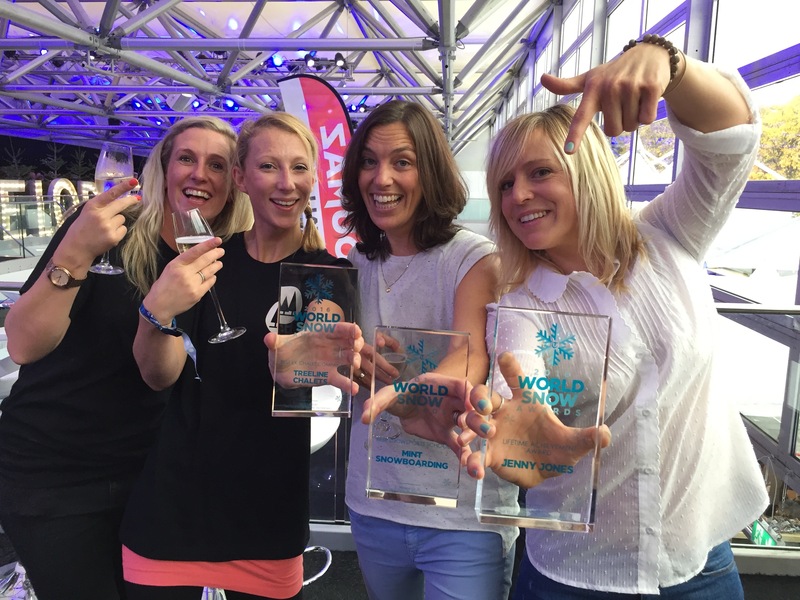 The World Snow Awards were announced on Thursday 27th October, where MINT Snowboarding was shortlisted in the finals for Best Snowsports School. This award saw us up against stiff competition from several large, well established ski schools with a passionate following. 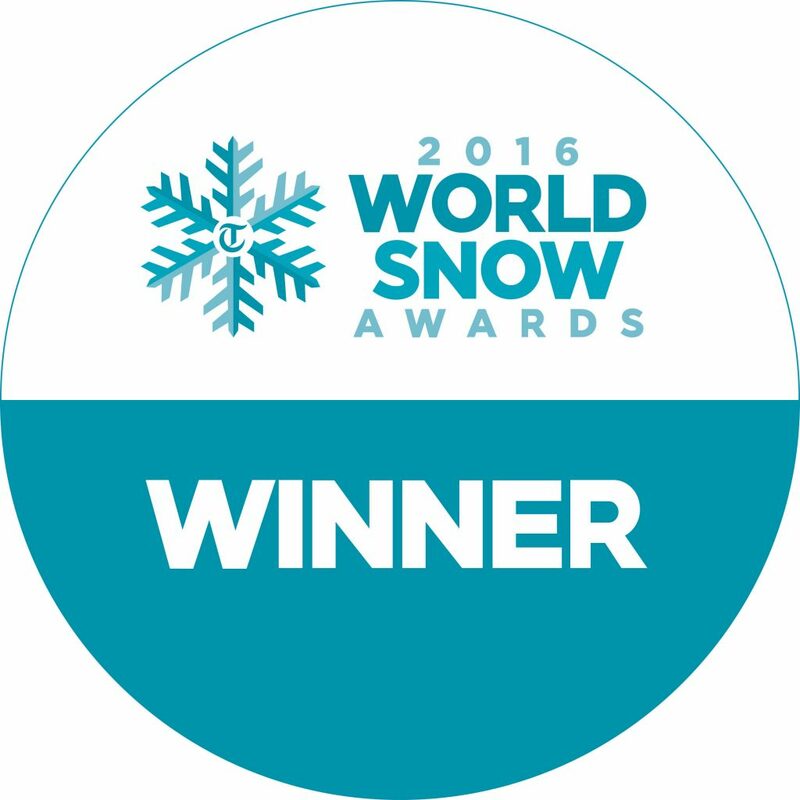 We were therefore totally stoked to have been awarded the title of ‘Best Snowsports School 2016’! This award means so much to us as a small, independent snowboard-only school. There is no doubt that we could not have achieved this without all of your support, so thank you so much for taking the time to vote for us! 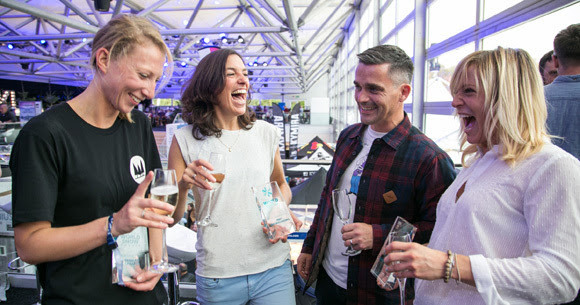 The World Snow Awards ceremony was held at the Ski & Snowboard Show at London’s Battersea Park with awards presented by Telegraph Ski Editor, Henry Druce. These prestigious awards honour the very best in the world of skiing and snowboarding, recognising the best brands, retailers, resorts, operators, venues and personalities in the industry. Enjoying the flowing champagne with our winning friends Jenny Jones (Lifetime Achievement Award) and Treeline Chalets (Best Chalet Company Award). So how did we manage to win? What makes MINT Snowboarding so special? Every year, for the past 10 years, we have delighted clients who report back to us with glowing reviews; whether it’s joining a group course, an improvement snowboard camp, a backcountry course, a private lesson or even training to become an instructor. Our snowboard instructors are second to none. They could not be higher qualified. They could not be more skilled. And they are overflowing with passion for snowboarding and sharing this with you. The office team are equally rad. They really do care that you are booked in for the right lessons to help you progress, or the right adventure to give you that buzz. They make sure the booking process is seamless and that you have all the information you need to get the most of your time with our instructing team. We operate in a fantastic area for snowboarders of all levels and interests. If you are a beginner or improver then Morzine & Les Gets offer endless wide, treelined pistes to cruise on. For freestyle riders, you simply can’t beat the snowparks available in Avoriaz. And for off piste & backcountry, we all know the Portes du Soleil ski area is vast. This means that the opportunities to scale surrounding summits, not accessed by ski lifts, are just endless. However many times you have ridden with us or whatever level you ride the experience with MINT Snowboarding is always second to none. Our amazing team of instructors and office staff love snowboarding as much as you do. They will look after you from initial contact through the end of your lesson and beyond, we are committed to giving you the best experience possible. Throughout your holiday with us you will be amongst likeminded people who are passionate about making sure learning is fun. Whether you are a complete beginner riding on snow for the first time, want to ride tree runs, powder, bumps, learn new tricks or ride off-piste snow, our team will give you the confidence to conquer your snowboarding goals. Our glowing reviews have led to us continually holding the Number 1 position on TripAdvisor of things to do in Morzine. Check out here for a full list of our achievements over the last 10 years. If you’re keen to find out what makes MINT Snowboarding so special, why not join us in the Portes du Soleil for a private lesson, snowboard camp or course, group course, family snowboard holiday or instructor training. Olympic medallist Jenny Jones says of MINT: “Tammy is an incredibly passionate snowboard instructor. Combine this with her technical knowledge and years of experience and there’s no doubt you will come away having noticeably progressed your snowboarding and had a flippin’ rad day!” This ethos runs throughout the Morzine-based snowboard school.